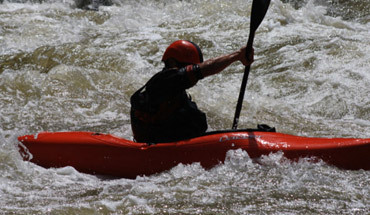 Intermediate: 7.5 miles of continuous class III–IV whitewater. The most versatile stretch of whitewater on the east coast. Advanced: 10 miles of steep, tight, and technical whitewater that will surely fulfill the most adventurous rafter's expectations. Mild: 9 miles of pristine beauty all accessible by leisure paddling and relaxed floating. 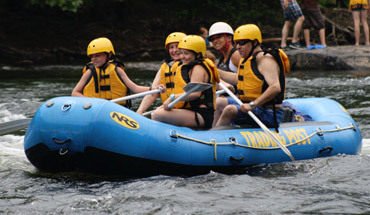 The highest quality self-baling inflatables in Ohiopyle including rafts, duckies, and shredders for any part of the Yough. 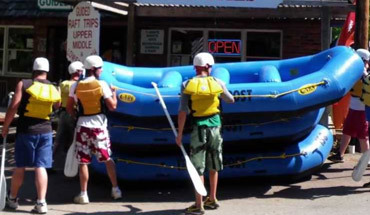 Ohiopyle Trading Post & River Tours: Whitewater rafting for any skill level using the best quality equipment and safest record on the Yough. 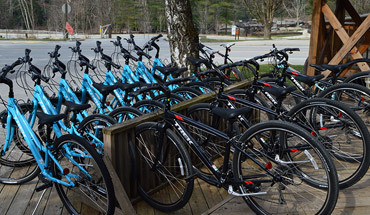 Whether you are a thrillseeker or just want to enjoy the beautiful bike trails of Ohiopyle - we have an outdoor activity for you! 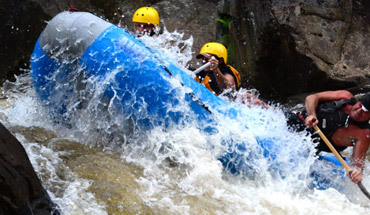 "My friends and I went rafting on the Upper Yough this weekend as part of a bachelor party weekend. Let me just say that the entire trip was phenomenal. 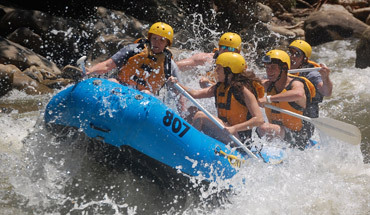 The weather cooperated, nobody died, the rapids were nuts, and the guides were top-notch." "Before putting our rafts in the water, the primary instructor gave an entertaining and informative safety speech. Even something mundane like that was interesting & lively. Clearly these river guides know what they're doing!" "Our guide gave us the best possible experience... I would definitely do this again and would do it with Ohiopyle Trading Company and even ask for the same guide if available." "Wow - this was the highlight of our vacation! We did the Lower Yough with a guide in our boat. Another company (when we were shopping around) tried to convince that we did not need a guide but they were so wrong! The guides at (OTP) love their jobs. They made the trip so much fun." Learn more about the water levels.